A few months ago, I was preparing to bring a load of trash to the dump. The vast majority of it was cardboard, headed for the recycling bin. As I carried some cereal and food boxes to my car, I looked at my wife and said, "Look at all the trash we generate. It's unbelievable. Imagine this times several hundred million people." Along with the usual plethora of cardboard, I had some scrap wood to bring to the dump on my next trip. One item on its way out was an old television cabinet. It's a cheap, particleboard, department store piece. We had no more use for it, so what do we do? Bring it to the dump! But wait a second...I took another look at it. Maybe I could find a use for it. No, that would just make more clutter. But wait, what if I could use it to reduce clutter in another part of the house? 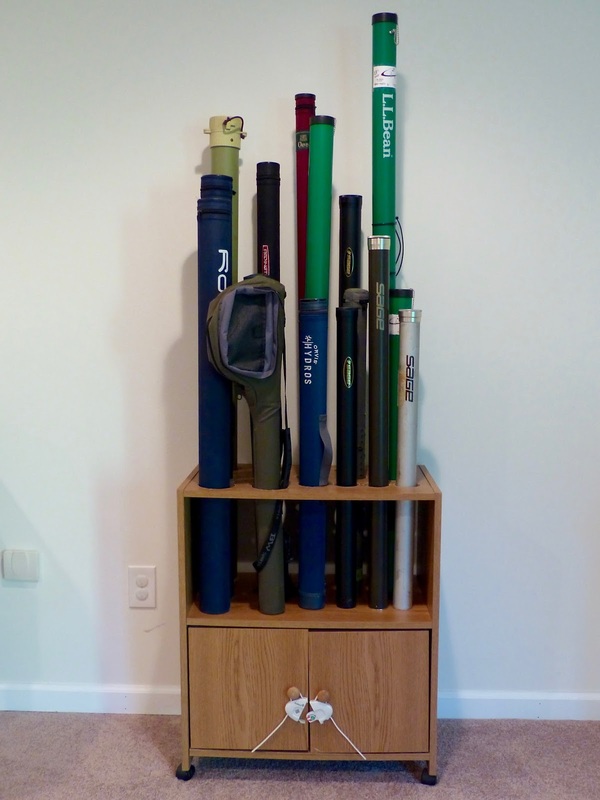 With some holes drilled in it, it would make a functional rod tube rack/reel cabinet. 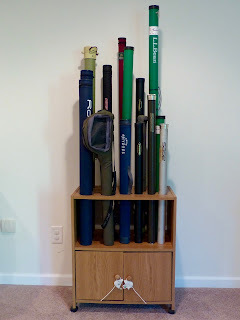 Until recently, I kept all of my rods and tubes in the garage. I have a good place for them, but I never liked having all those rods in the garage, especially at times when we leave the doors open. The likelihood of theft is probably low where we live, but I still worry about it now and then. I don't need access to all of the rods at once, so I decided to keep only what I'll use at any particular time in the garage. I used hole saws to make three different size holes in the top of the cabinet. It was a piece of cake and I could fit almost all of my tubes in it. The bottom of the cabinet was the perfect size to hold my fly reels. I stashed the cabinet in the basement and put a child lock on it (there's a little guy here who likes to peel line off reels). It's not exactly an "heirloom piece," but I felt good about getting more use out of it and not trashing it. This summer, I was able to repurpose some other household items. Without a doubt, the most significant recent addition to my fly tying room has been a whiteboard. I often struggle with having multiple thoughts zipping through my head at one time. I was never one to make lists despite being the perfect candidate for them. Every time I noticed I was running out of a certain material, I wrote it on the whiteboard. 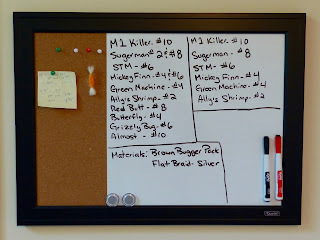 When I had an order of flies to tie, I mapped it out on the whiteboard to increase my efficiency. It's just a stupid whiteboard. But, for a scatterbrained tyer like myself, it is a very valuable tool. 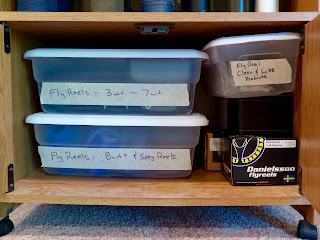 When I first set up my current tying desk, the drawers were fairly neat. Over the years, they've all descended into becoming "junk drawers." After getting sick of losing stuff, I decided to reorganize. I found some little plastic bins of different sizes and shapes. 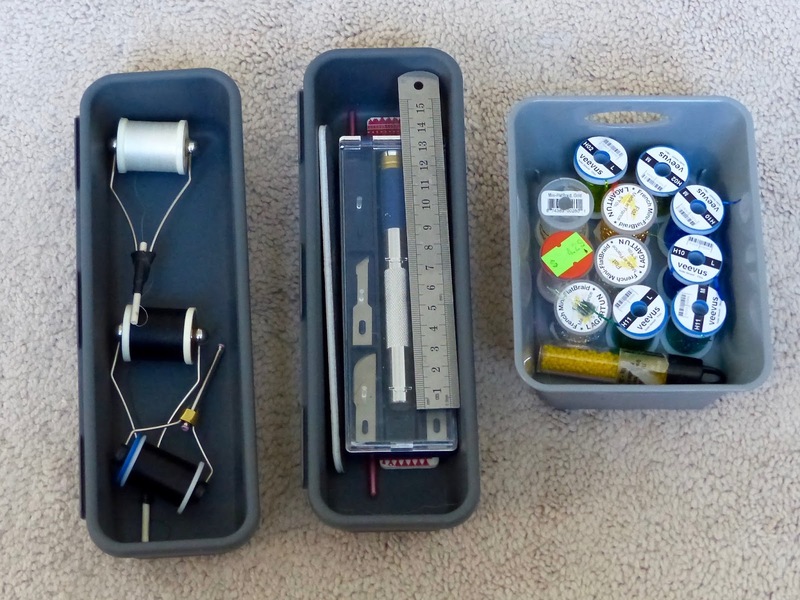 They were perfect for storing various small items. I enjoy not wasting as much time looking for stuff as I did before. This next one comes from my friend Dr. Bob. 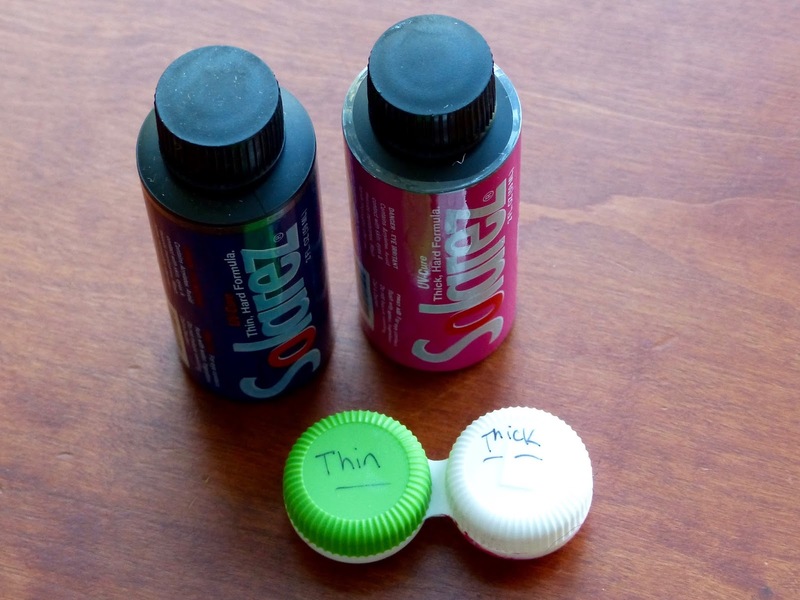 We were talking about storing UV cured resin (we both use Solarez) when he dropped this tip on me. He uses a contact lens case to store his resins. It is opaque, so no light leaks in. They are less messy than using Solarez directly from its tubes. Best of all, since the case is low and has a wide footprint, it's very hard to tip over. For my use, it's perfect. The last item was not something I found in the house. I bought it solely for repurposing it. 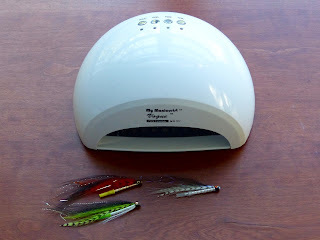 I had read about fly tyers using UV and LED nail dryers (also called "ovens") to fully cure UV cured resins. Previously, I brought my flies outside for a final sunlight curing. After an initial set with an LED flashlight, I now use a Vogue Professional nail dryer to fully cure the UV resin on flies. 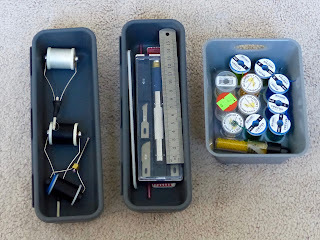 I can put four or five larger flies or tubes in at a time. I cover the opening (to prevent UV light from potentially leaking out) and let it run until the next batch of flies are ready. It works great. Maybe my wife will steal one of my items instead of the other way around. I'm sure there are many more items begging to be used in my tying room. I just haven't found them yet. Before the next dump run, I'm going to keep my eyes peeled and my mind open. 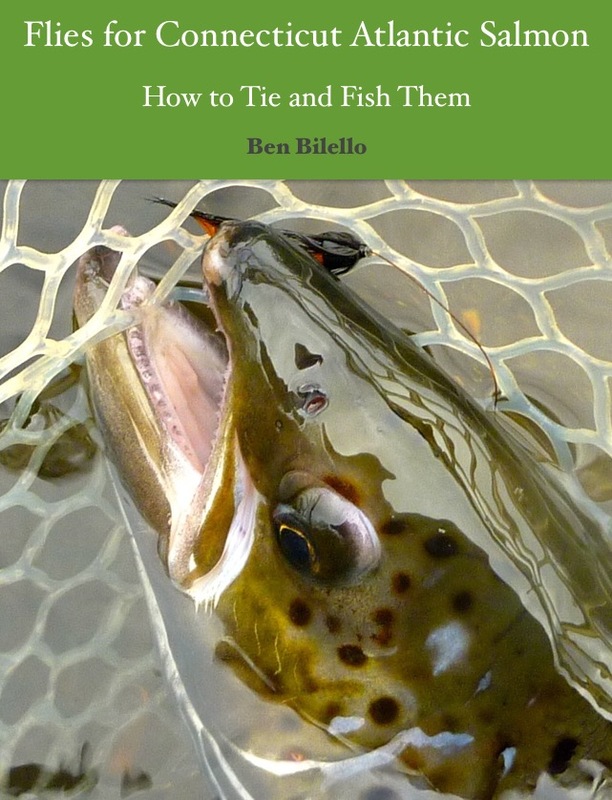 Some great ideas there Ben!